Over at YouTube, they love it when you watch more YouTube. If you’re sick of YouTube automatically queuing up more videos for you, however, it’s easy enough to turn the autoplay feature off and go back to watching your videos at your own pace. 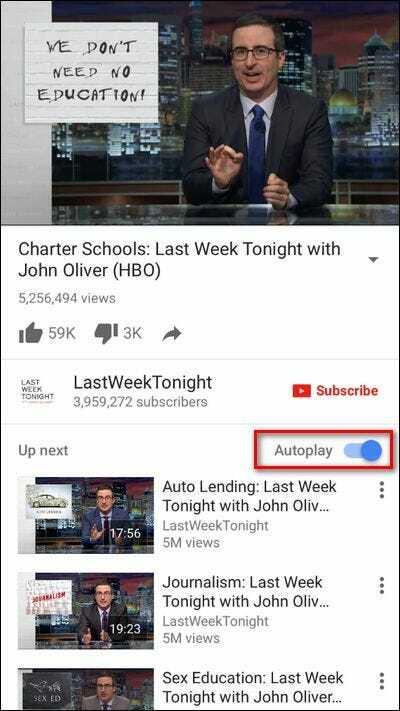 On both desktop and mobile platforms, YouTube will automatically play a suggested “Up Next” queue if you don’t intervene–as seen in the screenshot above where a clip from Last Week Tonight with John Oliver automatically plays when the previous one completes. The method for turning off autoplay on iOS, Android, and other mobile YouTube incarnations is pretty straightforward because the toggle itself is, relatively, front and center. To disable the function, simply load a video, then look for the “Autoplay” toggle, as highlighted in the image below. The toggle looks the same and is located in the same place on both iOS and Android. If you do not see this toggle on your mobile YouTube app, then the app most likely needs to be updated. In one rare case on one of our devices, we didn’t see the toggle until we completely uninstalled the app (despite updating it) and then reinstalled it. 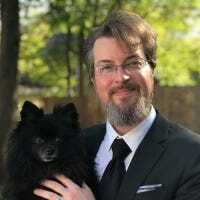 As a small aside for readers who found their way to this article searching for a way to halt autoplaying video on the Apple TV (which uses the YouTube App for tvOS, a branch of iOS)–you won’t find an on-screen toggle like you do with the mobile apps, but you can turn autoplay off by launching the YouTube app on your Apple TV and looking in Settings > Autoplay. Just like the mobile applications, there is a toggle on the browser-based version of YouTube, albeit not quite as prominent. In the screenshot below you can see the video we’re watching plus the long list of “Up Next” videos that will keep playing if we don’t intervene. If you look closely at the upper right corner of the “Up Next” queue, you’ll see the toggle. Flip it off and the “Up Next” queue just becomes a suggested playlist and not an unending rotation of videos. That’s all there is to it–flip the autoplay toggle across all the devices you use YouTube on and the annoyance of autoplaying videos vanishes.